The first movie we watched was "Dil Bole Hadippa", starring Shahid Kapoor and Rani Mukerji. It had some great songs and some really funny parts, but it also had enough content in it that it's not one I would recommend. Pity, too, because some of it is absolutely hilarious! Emma and Piper, the two Bollywood fans, joined us for the evening. ;) In fact, you can read Emma's take on things HERE. The rice is just like our steamed white rice. It goes great with the chicken tikka masala, which is basically tender chicken pieces in a creamy, spicy (but not too hot!) sauce. Chicken tikka masala is still my very favorite Indian main dish, by the way. :) The aloo gobi was really good too. It has potato and cauliflower in it, both things I'm not a big fan of, but together in the amazing sauce they're delicious! The garlic naan was awesome! It's very similar to a tortilla, but it had garlic and other spices on it. It was really thick and soft, too. 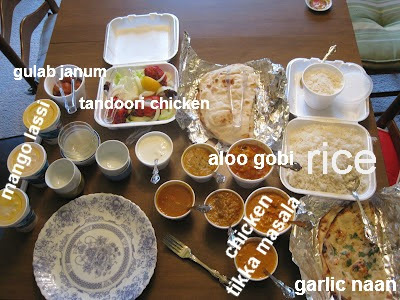 :) The tandoori chicken was something new I tried...not spicy at all and very tasty. Mimi told me that she normally gets tandoori chicken for first timers because it tastes very similar to chicken the way we normally prepare it. The mango lassi is another must! I'm not usually a fan of mango, but these are amazing! The mango taste is really mild, and they're basically sweet smoothies. Then there's my favorite Indian dessert so far: gulab janum. Imagine a doughnut hole dipped in an incredible sweet sauce. Yum!! I have to admit, I didn't exactly count Weight Watchers points this evening. ;) It was worth it, though!! 3. Choose 5 blogs to receive the award. 1. Elaine from "Musings of an Old-Fashioned Young Woman"
2. The Bolton Girls from "Bolton Girls Travel Journal"
3. Jenny at "A Doll's Life"
4. Jen at "Dolls and Nachos"
5. Bama at "Dolls of an Era"
Hey guys, just another really quick post. Within the past few days, Picmonkey.com added a collage option to their site. It's a little bit more involved than Picnik was. Unless I'm missing something, there's no way to add text and effects directly to your collage, which means you have to make your collage, save it to your computer, and then upload the completed collage to Picmonkey again to add further effects. Correct me if I'm wrong, please! :} I'm also really hoping that eventually they'll add a direct link to Picasa like Picnik did. 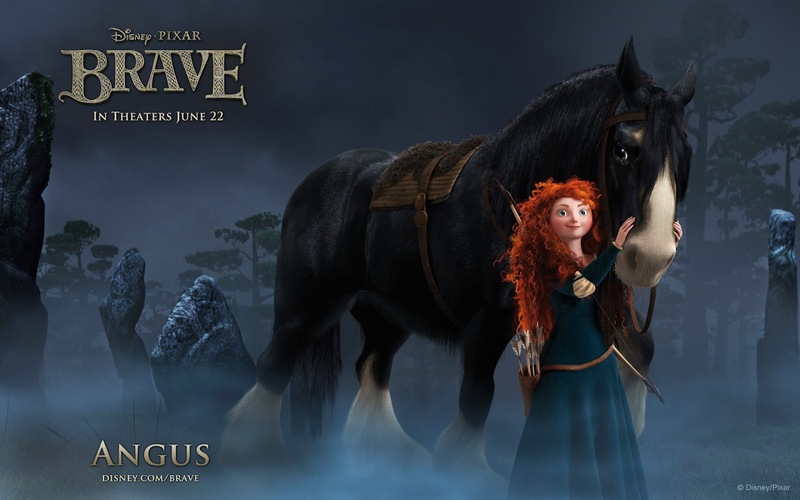 I don't know about the rest of you, but I am getting SO impatient to see Disney Pixar's latest offering, "Brave". :D Unfortunately, it won't be coming out until June 22nd, so I'm just going to have to wait. Here she is in her package. And here's the back of the package. I took this picture to show you how the new dresses work. 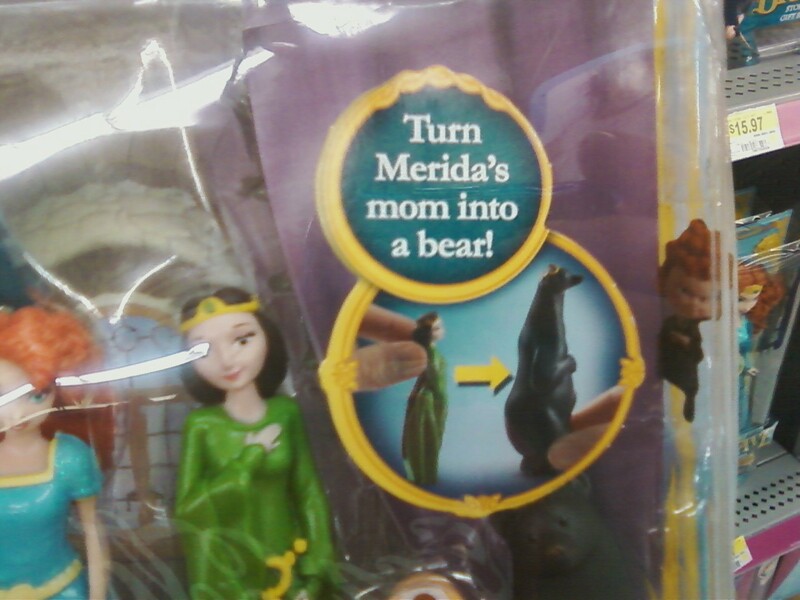 You squeeze the bottom, and the dress opens up, allowing you to take the doll out. Here she is in her other outfit. I really like her flowing cape in this one. 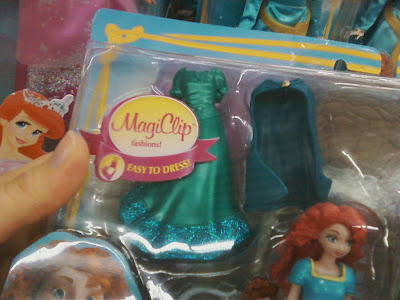 I thought it was a great idea of Mattel's to include instructions for putting the dress back together if it comes apart. My 4 year old has pulled too hard on one of these dresses and popped it apart, so it is definitely a hazard of the new design. Charlie loves her new Merida! I would give this mini doll a 4 out of 5 stars. She's very cute and a perfect size for the AG dolls. My only complaints are that she doesn't really look much like herself, and her dresses are not movie accurate. Granted, it's probably because long-sleeved dresses in hard plastic would have been difficult to get on the doll, but it still detracts from her overall appeal to me...at least a little. It's also difficult to turn her head in the dress with the cape, because her hair is so close to her body. Also, for younger kiddos (4 and under, perhaps? ), it might be better to go for a doll with softer clothing. Either that, or you just need to bear in mind that you'll be helping them dress little Merida...a lot! ;) And don't lose the instructions on how to put the dress back together. Trust me on this one. 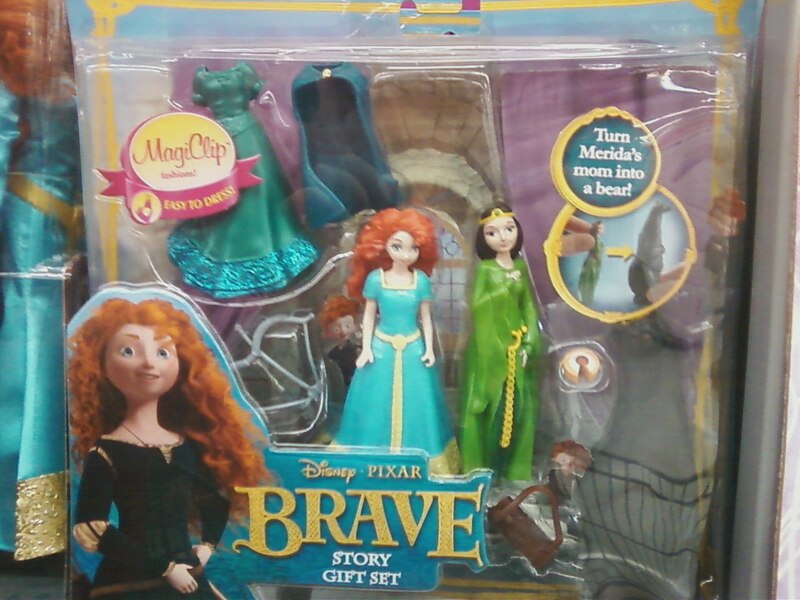 First, we have the Brave "Story Gift Set", which includes a mini Merida like mine and a Queen Elinor. It also comes with Elinor as a bear (you can apparently fit the doll inside the bear body), an extra dress and cape for Merida, and Merida's bow, arrow, and quiver. As you can see from the packaging, this also features the hard MagiClip clothing. Walmart was selling this set for $15.97. 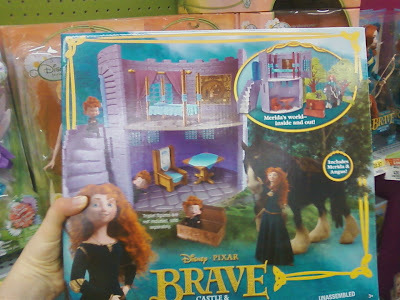 Next is the Brave "Castle and Forest Playset". It comes with the castle, some plastic trees, a few pieces of furniture, and mini Merida and Angus. Walmart was selling this set for $26.97. 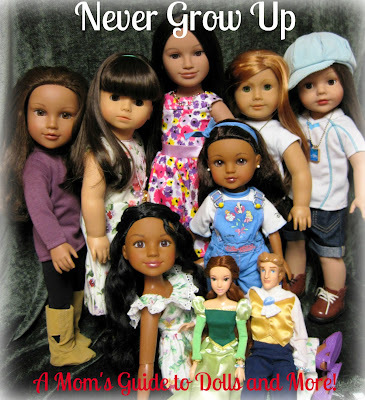 Now we move on to the Barbie-sized dolls. 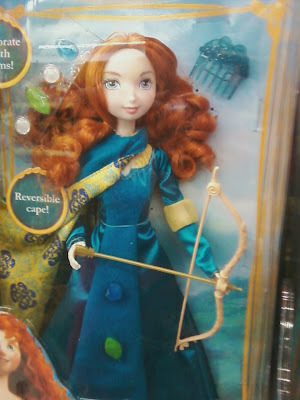 This one is the generic Merida doll by Mattel. She comes with a comb, her dress and belt, a crown, and (I'm assuming) shoes. Her price was $14.97. 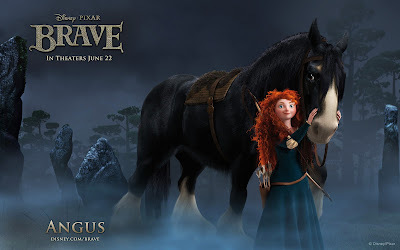 For those interested in more detail, there is also "Gem Styling Merida". 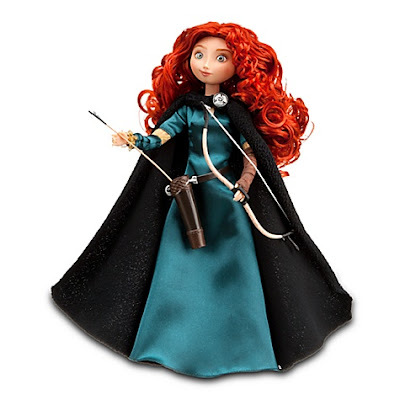 She comes with removable gems to add to her dress, a comb, and her bow and arrow. I'm assuming she has shoes, too. Walmart was selling her for $20.97. 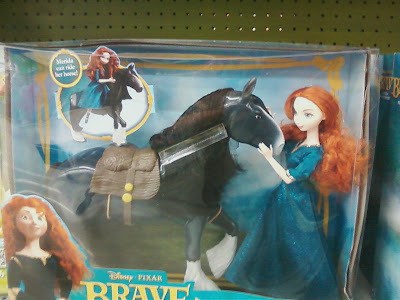 And for all of you horse lovers out there, Mattel also released a "Merida and Angus" set, selling at Walmart for $26.97. 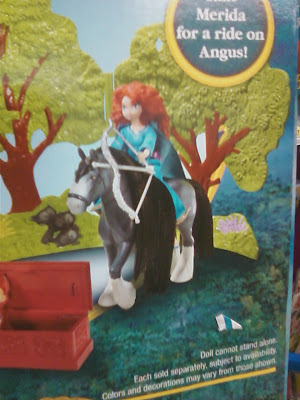 Personally, I'd rather spend the extra six bucks and get the horse rather than removable gems and a bow and arrow, but that's just me. ;) My main complaint with this set is that Angus is a REALLY small Clydesdale. Either that, or Merida had a huge growth spurt overnight. ;) I know this doesn't bother everyone, but accurate scale is really important to me (it comes from having a model railroader as a father). 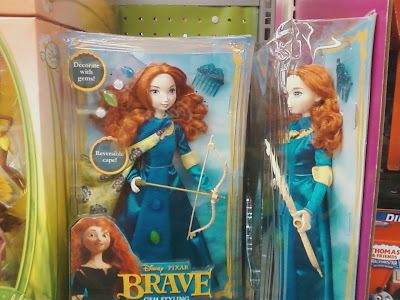 Interestingly enough, my oldest daughter prefers the Mattel version because she has a "sweeter face". I'm sure there will be others out there who agree. What are your thoughts? Are you excited about all of the new Brave merchandise? 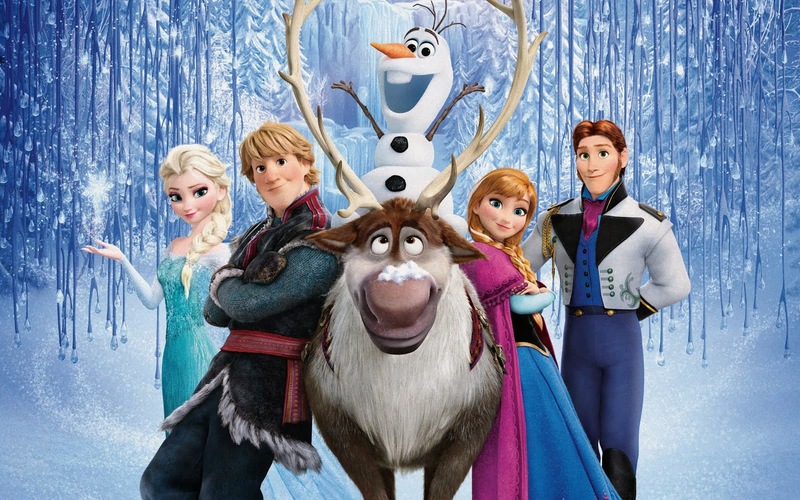 Are you looking forward to the movie? Do you prefer the Mattel or Disney Store dolls? In the midst of our celebrations and festivities today, may we remember what this day is for: honoring those who lost their lives so that we could live in freedom. Where tombstones stand row upon row? Lay buried deep in freedom's sod. Row upon row upon row upon row. Of each row upon row upon row upon row. Where tombstones stand row upon row. Reminding us what we've been given. One by one, row upon row upon row upon row. Hi guys! I thought I'd post this really quickly before church. 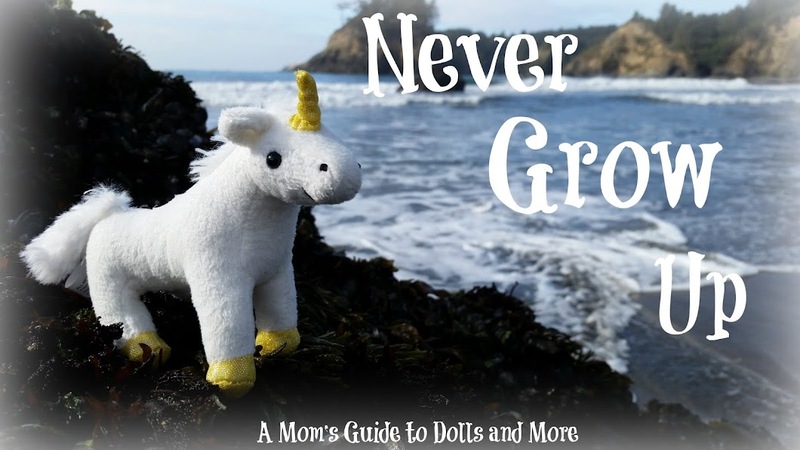 :) I checked my email this morning and found a few special Memorial Day sales that might interest my readers. Disney Store has a special sale as well: an extra 25% off their sale prices. You just have to apply the code MEMORIAL25 during checkout. I was super excited about this one at first, because the last time I'd checked, all of the classic prince and princess dolls were on sale for $8 each. Unfortunately, though, they are now back to regular price, so this sale won't apply to them. 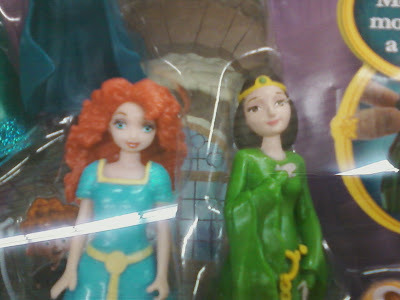 :( The 17" Singing Tiana doll was on sale, though. There were also some Avengers and Toy Story items on sale, so it's definitely worth checking out. You can click HERE to see all of the current sale items. This sale may only be good for today, because they had a different promotion yesterday, so they might be doing something new each day of the weekend. For as long as I can remember, I've always dreamed about being a wife and a mom. We're talking as early as 6 years old. I can clearly remember drawing pictures of my future hubby and kids at that age. 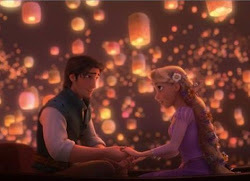 :) Of course, it was all very romantic and set to a Disney soundtrack. I pictured my Prince Charming coming and sweeping me off of my feet. We would enjoy a huge wedding, where I would wear the most beautiful dress in the world, and then we'd have a few adorable, perfect kids whom I would care for with my amazing mothering skills, which would come very naturally to me, of course. Incidentally, I also dreamed of being a missionary for many years. This was also a highly romanticized thought. I think that somewhere I still have a drawing I did in 8th grade. I'm standing at some unspecific location in Africa, surrounded by adorable African children. I have an African baby in one arm and my Bible in the other. I'm wearing a peasant blouse and a long, flowy skirt, and the wind is blowing my skirt and my hair. Now I know that God had better plans than to send me to the mission field in order to have a complete mental breakdown. :} I know that God gives grace where it is needed, but the more I grow and come to grips with my personality flaws and strengths, the more I realize that the mission field would NOT have been anything like I'd dreamed about and I would have had a very rude awakening. I think I did have an honest desire to serve the Lord, whether I was on the mission field or at home, but I also think a lot of it was about me, like I was the star in my own movie or something. It didn't matter that no one was watching (although sometimes I think I really did believe that the world revolved around me!). As a result, everything I dreamed about was highly romantic...and highly unrealistic. Something that my parents always stressed as I was growing up was the importance of staying home with your kids so that you could be the one to raise them, not a day care worker. (They often shared observations and parenting tips with us as we were growing up, even when we were younger, and I really value those years of free advice.) I was thrilled to discover (before marrying him) that Hubby (then Boyfriend) felt the same way. Fast forward to 8 years ago, when we brought home our first beautiful little girl from the hospital. Here it was, the moment I'd been waiting for and leading up to all of my life. And things were going to be perfect, and wonderful, and I would get all of that baby weight off immediately, and be wrapped up in love for my adorable little daughter, and someday she would be a famous doctor or singer or something great...and she refused to sleep, and refused to stop crying...and I was TIRED! That was the first moment I realized that maybe this parenting stuff wasn't quite as easy as I'd always imagined it would be. Those first few months were a big adjustment, especially the first few weeks. It turned out I wasn't producing enough milk to keep Oldest Gal satisfied, so she was basically starving. Thankfully, this was caught fairly early on, so we were able to supplement her with formula. Things got easier after that, but it wasn't exactly a walk in the park, either. It must not have been too miserable, though, because we were crazy enough to want more kids! ;) Adding one more was fairly doable, but by the time we got to three, I was feeling pretty overwhelmed, to say the least. Still, I'd made a commitment to stay home with our kids, so I was determined to do it. Hubby was even working two jobs so that I could be with the girls. So, why am I a Stay-at-Home mom, especially if it's not easy? Because I believe that it's the right thing to do, and that my children will benefit from the constant parental involvement in their lives (unless I'm being super crabby...they might not exactly benefit from that!). :} I also desire nothing more than knowing that my children love the Lord and want to serve Him. The very best way to gauge where they're at spiritually and to be a godly influence in their lives is to be there with them. I want to be there to answer their questions, to show them from the Bible why we believe what we believe, and to encourage their excitement about God and what He has done. There's another important reason I'm a Stay-at-Home Mom, although it's not a reason I knew about until I already was one. ;) Staying home with 3 kiddos for hours upon hours constantly brings to my attention the areas of my life that need some work. I always thought I was a naturally kind, patient person. That theory is not one I have anymore. I've discovered that I'm naturally a selfish, petty, spoiled girl with anger management issues. I can hear all of you now: "And...that's a good thing?" Yes, actually, it is. Because it's only when I stop doing everything on my own and showing God how much merit I have in my own strength that I am able to come to Him in brokenness, admitting my faults and failings. And that's when He can start working on those areas in my life, pruning those stray branches and sanding off those rough edges, forming me into the woman I can be through His power. Is it as easy as I thought it would be? Not even close. Is it always fun? Um...no. I've had more than my share of wiping messy bottoms, cleaning up vomit at 2 in the morning, tackling the never-ending pile of laundry that seems to grow on its own, and breaking up the endless arguments. But do the benefits outweigh the hardships? Definitely! You see, I may have to do a lot of stuff that isn't very fun, but I also have been there for every coo and smile. I've seen each of the girls take their first steps. I've been the one to comfort them in the middle of the night, the one to receive their loving kisses and hugs. I've been able to observe their unique personalities develop, to laugh at the funny things they do, and take pictures all along the way to help me remember them when they're all older and in homes of their own. I did want to mention before I go that I realize that it's not always possible to be a Stay-at-Home mom, especially with the economy the way it is now. I really appreciate that my husband is willing to work 11-15 hours a day during the busy season so that I'm free to raise the girls. If it wasn't for him, I wouldn't be able to do what I'm doing. I know there are some great moms out there who also work out of the home. For our family, though, this is the choice we've made and one that we feel strongly about. I plan on posting my "Why I'm a Stay-at-Home Mom" post tomorrow. I was thinking about doing it today, but I'm just flat running out of time. That, and my children have been bouncing off the walls all morning. If I tried to write it now, my answer would probably be: "I have NO IDEA what prompted me to choose this INSANITY!!!" 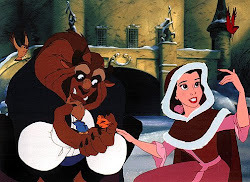 For those of you who are fans of "Belle's Bulletins", you might be interested in knowing that the wedding post is up. :D Tess and Maggie most likely won't have another post up until next week. A Jeff Gordon Nascar car for my Emma doll-99 cents. 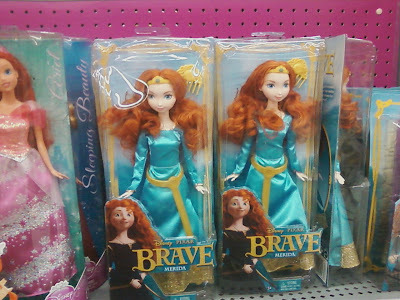 An Alexander Girlz doll with nasty hair-$2.99. I can't complain, though, because I also found this beautiful, barely used Disney Store Tiana doll for $3.99! :D And thankfully, they decided to write her price on her back, which is made of hard plastic, so it came right off. My mom also found this lovely, old-fashioned dresser jewelry box, also the perfect size for the dolls. It's been fun finding vintage toys from my childhood there, like this Fashion Star Fillies Joelle horse. I think she was 99 cents. Anyone remember these? She still had her original "saddle", or whatever this thing is supposed to be. I think this is also her original hair accessory. It was braided into her tail. Here's one of my most exciting finds: A lovely Beauty and the Beast Trinket box from the Disney Store, still in its original box, for just $3.99! :D This appears to have been released at the same time as the diamond edition Blu-ray and DVD. The bottom of the box has the Beast's head and a rose above him. The four feet that hold the box up look like the Beast's claws. A shot of the back of the box. The top simply lifts off to reveal the storage inside. Underneath is an on/off switch. ...and a Rajah for Hayden's Jasmine collection. I was so excited to find this vintage Lady Lovely Locks wrapping paper, still sealed in the plastic, for just 49 cents! ...and this one was 75 cents.